On CBS Sunday morning a couple of weeks ago, there was a story about an elderly couple. If you'd like to see the video, here's the link. Sixty years ago, Reverend Gilbert Caldwell and his young bride Grace planned on staying in the Poconos for their honeymoon. They'd made reservations. Unfortunately, when they arrived, the staff would not honor their reservation, since the Caldwells were African American. The couple was told that if they were allowed to check in, the other guests would not be very happy. Recently, the Caldwells spoke to a class of students (5th graders, I think) and were sharing what life was like during the Civil Rights era. They told the story about their honeymoon. The kids were outraged. The children wrote letters, worked on their persuasive skills and were successful. Six decades after they said "I do," Gilbert and Grace got to have a free second honeymoon in the Poconos--this time in the resort that earlier had turned them away. 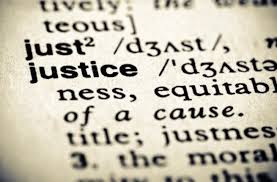 Writing can bring about justice in many ways. Self-healing--I recently met with a fellow teacher. Her father was an alcoholic. He died when his daughter was still young. She said she'd like to write a memoir but since she's still in her 20s, she felt like it was too soon. about how she coped and how she survived. Finding forgiveness... Surely that's justice. Legal Justice Rubin "Hurricane" Carter was a boxer who was wrongfully convicted of murder. While in prison, he wrote an autobiography, which was so inspiring, Bob Dylan wrote a song about him ("Hurricane"). Denzel Washington starred in a movie about Carter's time in prison. People protested, articles were written. Eventually, Rubin Carter was freed. Knowledge--Thankfully the Holocaust is over. Fortunately, the days of the Civil Rights era is no longer. No longer are there separate drinking fountains and Jim Crow laws... which means that children today know nothing of those worlds and those injustices. I've spoken to many people who come to book signings and say to one of my writing colleagues or myself things like, "Your story really moved me. It reminded me of my own life," and then they tell about one of their childhood or adult experiences. Every time, they're told, "Write down your story. My story resonated with you? Your story could make a difference with someone else." And I'm saying it again. What's stopping you? It's never too early to get your story down. Sioux Roslawski is a middle school teacher, a freelance writer, a mother and grandmother along with being a dog rescuer. 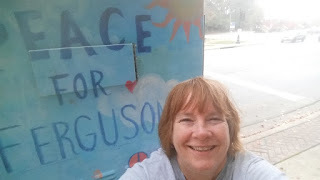 In the Chicken Soup for the Soul: My Kind (of) America, she has a story about Ferguson. 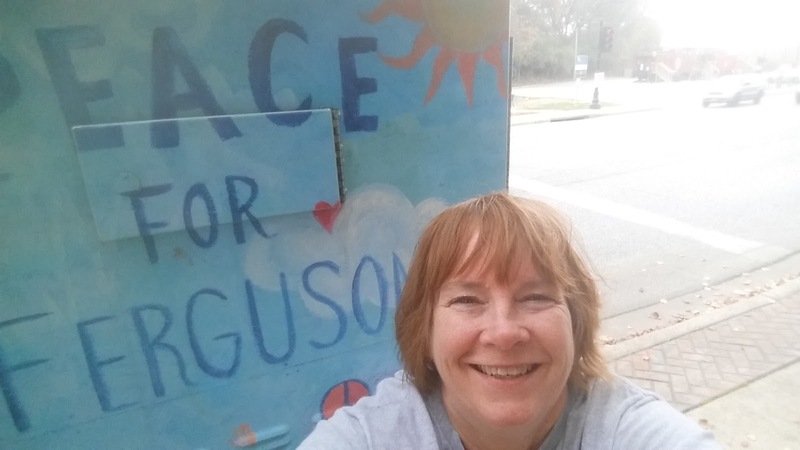 It tells what the real Ferguson was like before and after Michael Brown was killed. If you'd like to read more of her work, you can check out her blog. Yes! Words are powerful tools! That's an amazing story, Sioux, and there are so many like it. I remember in high school, my friends and I started the Amnesty International Club and that's when I really learned the power of letter writing to release political prisoners. It opened my eyes to the possibilities and strength of our words and banding together. Now, I use writing as self healing and to talk about "taboo" topics that deserve a spotlight--hopefully to touch others that may be going through the same thing. Very moving, Sioux. I agree with Angela that words are powerful. I've begun writing a memoir, but right now it's just some disjointed stories that I want to tell. But maybe some day! Great post, Sioux. I've never really thought about it this way, but I supposed I like to bring a bit of justice into my own writing. I have one YA manuscript that was inspired by a classmate from high school who took his own life. I didn't really know him well, but it bothered me that I heard other students talking about how upset they were a dance was canceled because of "what he did." I wanted to write an ending that stopped and made people think about how hurtful their insensitivity and words could be. I hope that one day people will read my stories and feel a sense of vindication for whatever they may be experiencing. Renee--Perhaps you need an accountability group to help you get one of those stories published? Seriously, what callous dolts you went to high school with. Oh wait. That sounds like the jerks I went to school with. Did you and I go to the same high school?